In my quest to become less wasteful, I have stumbled upon frugality and it seems that these two actually go hand in hand. Dictionary.com describes being frugal as being economical in use or expenditure, prudently saving or sparing…. wait for it…… not wasteful. I am learning that when you make a decision or commitment to be less wasteful, you also make the decision to be more frugal. The first area that I am working on is being frugal with my money and that has led me on an interesting journey into the world of “frugal mommy blogs” and couponing. So let me just say, I never thought I would EVER clip a coupon let alone use one, but I tell you what ….now that I have started, I almost can’t stop…. the deals are actually quite fun to find. I am also realizing that deal hunting and couponing take some planning and a little work, especially when you are new at it like I am. But by checking out blogs of women who coupon and doing the “deals” that they do, I am beginning to catch on and I am really enjoying myself. It is becoming a hobby, it is also causing me to make menus, grocery lists, and to keep track of where my money is going… because I really want to see how little I can spend. One of the important things about couponing that I have had to learn is that stockpiling is key… no not planning for the end of the world, but creating a storehouse of supplies so that you are not forced to by products that you need at the store when they are high priced, but actually buying them when they are as cheap as you can get them, even when you may not need them at the time and saving them until you do. I had never thought about this before but grocery stores make their money when you come into them without a list, looking for that one thing that you “need” and walk out with 50 dollars of stuff you may or may not need just because you saw it. Usually that thing you needed isn’t on sale when you need it, so not only do you pay full price for it, you also pay full price for the impulse buys you made while in the store to get that one item. I did that so much before. It is vital to purchase things you may not need at the time for rock bottom prices so that you aren’t paying top dollar later. I struggled with this at first, especially because I was trying to eliminate “stuff” and wasn’t really sure how that all tied together. However, as I started to see the concept written out on other peoples blogs and read about their successes in fugality, I have become a believer. Buying things that you don’t need yet at low prices frees up money to spend on things that aren’t as easy to find a coupon for; things like fruit and veggies. Understand? I could go on and on, but I think I will let some of the blogs that I have come across speak for themselves. 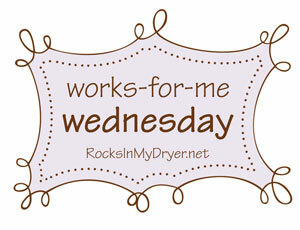 The first blog I found was Freebies4mom. She has lists of things you can get for free, sweepstakes to enter, product reviews, etc. From there I found, MoneySavingMom. 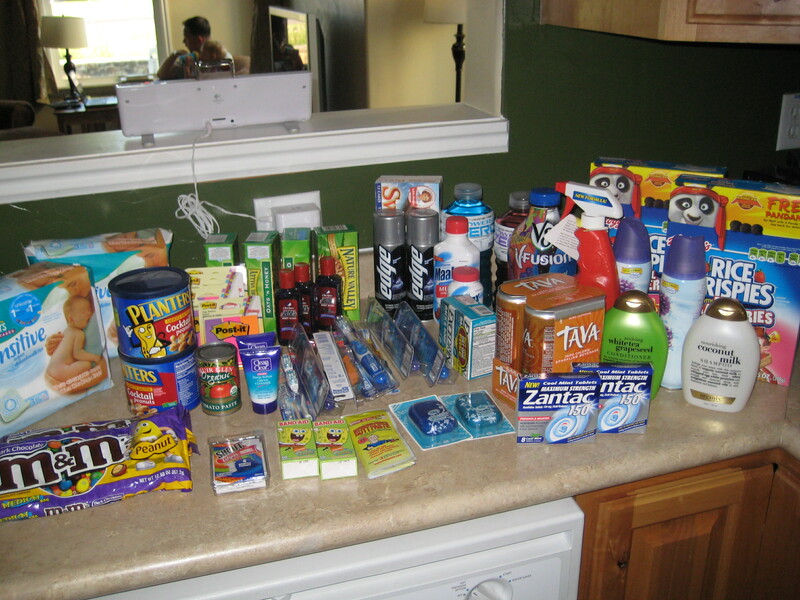 She also lists out things you can get for free, deals that she has found at grocery or drugstores. She has a great description or how-to on the drugstore game (more on that in another post). MoneySavingMom also has a lot of good advice about being frugal in general. The next blogs that I found are other deal making blogs… The”Cents”ibleSawyer, SisterlySavings, and MommySnacks. I check these alot for suggestions on what coupons to use and where. If you are interested in all of this start with some of these sites. Look around at what they offer and follow their blogrolls to other people who have advise on couponing and being frugal. 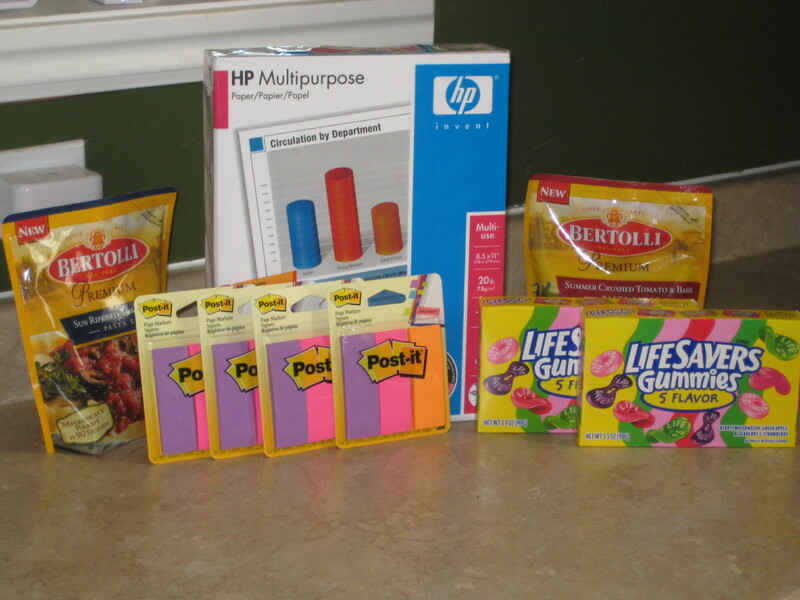 All of the items pictured here were part of one of the first, big frugal shopping trips I took. I had a list of stores to hit and what to get and what coupons to use. Everything you see here was either free or under 50 cents. Yes, it is a lot of non- perishables and not a lot of food, but remember stocking up on things you will need at low low prices allows you to have cash free to buy the things that you need that you really can’t stock up on. Literally, I paid pennies for this stuff. All stuff I will use. Bring on the M&Ms. Total out of pocket for this…2.48. Without coupons I would have paid 16.78. A few of the items actually made me money. Ok… so… lots of info. Check out the blogs and keep checking back here as I detail more in upcoming posts.